In a chance online encounter for another purpose I ended up in yet another conversation with a teacher frustrated and challenged by teaching in a MLE. She was “yet to be convinced” of any value or advantage. She feels she’s lost her autonomy and her ability to be creative. She now has to teach reading, writing and maths groups to a timetable that matches perfectly with the three other teachers she shares a space with. While there may be some advantage in that the grouping they can use over four classes means each group has more similar needs and the academic content can be closely targeted, isn’t this just a form of streaming? Aren’t we starting to learn that ability grouping causes as many issues as it solves? I remain concerned that primary teachers, many of whom have decried the use of streaming and adherence to rigid timetables in the secondary system are now doing the same instead of using new teaching spaces as the driver to actually interrogate and change their teaching practice. I’ve heard many times now- A modern learning environment is not a modern learning environment if all that has changed is the space and our practice has not changed. If we are going into these new spaces and putting four groups of learners and four teachers and multiplying what we once did by four then all that is likely to occur is stress and burnout. I love collaborative teaching for the flexibility it could bring to the learning experience for our learners. The ability to tap into different passions and skill sets. 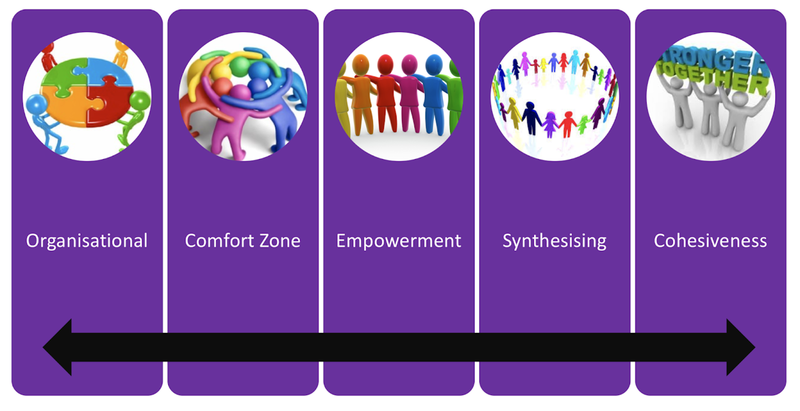 The opportunities for modelling of and experiencing social situations and learning. But I wonder whether we are taking enough time to consider as leaders what that actually means for learning and then taking the time to support our teachers into interrogating their practice and then most importantly giving them licence to explore new practice. New practice is not doing the same thing just with four teachers in a bigger space. Too often I’m thinking the new practice stops at the organisational stage of how will we make this work? Yes, I agree teaching in a MLE can feel like a loss of autonomy for a teacher if nothing else but the space changes and now you are having to cater for and cooperate with multiple adults and learners. But if practice changes autonomy is possible. Autonomy within a collective agreement responsibility and towards a collective outcome for our learners. Agency is one of the important keys in a modern learning environment.Developing multiple opportunities and pathways for learner agency requires us to change our view of agency in a learning environment. If we organise and stream our learners and tell them where they have to be and with whom they have to be every moment of the day are we providing opportunities for them to have agency over their learning? A vital skill for their growth and their future. Teacher agency and autonomy now fits under a much bigger umbrella. Within a team having a vision for learning that is clear, with teacher actions and decisions able to be linked to that. Flexibility within the learning environment for learners to take multiple pathways towards that vision, teachers relearning their roles in order to provide scaffolds within those choices, rather than their role being to dictate those choices. . So for teachers rather than creating the big picture of the learning themselves, then giving students some limited choices underneath a clearly adult designed pathway, it’s about working together to provide the pathways as learners start taking them. This requires a much more responsive approach that needs flexibility in approach and timetabling and planning, and some different measures of success. Which brings me to the crux. If we keep measuring new practices with old measures we will continue to move at a glacial pace in schools. We need to have courage to change our practices, which also means changing our organisation and changing our measures. And leaders need to have courage to let go of some of the old. What point is there in giving teachers freedom to innovate, or ask them to give learners lots of agentic opportunities and then insist on measuring the success with the same measures that were used and more appropriate to another time. 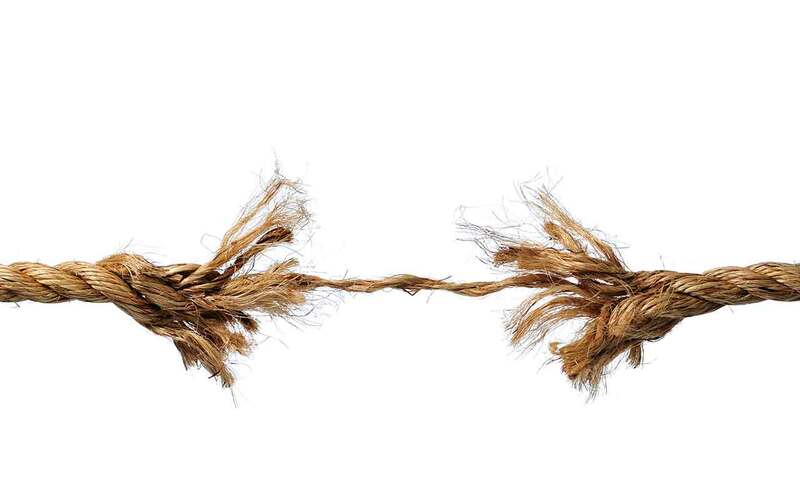 If we don’t work to change things at every level, then we will continue to simply frustrate and burn out teachers as we move more and more into modern learning environments. I’ve worked with collaboration in a school for a long time now- started collaborative teaching in 2001, and then led the development of collaborative teaching throughout three different schools in the following fifteen years. I’ve written previously about the power of collaborative teaching practice here and about collaborative leadership here. I’ve worked with collaborative teams, spoken at conferences and other schools on collaborative practice and the stages of collaboration, and the rewards of pushing through the comfort zone stage to the stage where there is real empowerment of all teachers within the collaborative team and the even further to the stage of cohesiveness where the learning process flows and there is no obvious leader to the team, each teacher contributes skills where needed, often without a lot of discussion needed the group works as one to meet the need of all students. We design and deliver kaupapa for our learners with the intent that the kaupapa will spark them into their own inquiries. We conference all students- not just the ones that have attended our kaupapa or MAI times sessions but anyone who is currently working on inquiries and projects. We collaboratively run a Puna Ako group of about 50 students with three teachers (the ratio being this low because at Puna Ako time all teachers are on the floor). This is the time we design and deliver positive education, social and emotional learning. It’s also a time where we hold students to account for what they are doing in the rest of their learning day. Last year I watched the group of four middle leaders who lead 25 other teachers and support staff in Year 7-13 review the learning they had designed and delivered and take it to the next level. 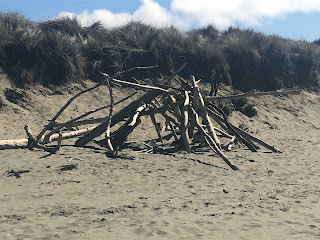 While there was some amazing learning happening they thought that Kaupapa had become a bit short and a bit forced with all kaupapa coming off one theme and were not necessarily leading to connections for students to in depth inquiries. They decided that they would run kaupapa in five week blocks, but there would be no theme. That teachers would design kaupapa ideas and then pitch those ideas to the rest of the teaching team and the together the 27 teachers would collaboratively agree on which kaupapa would run for the next five weeks. The catch is there are only so many learning blocks a week for kaupapa learning if teachers are also to run MAI times, conference and staff spaces, as well as have their entitled non contact time. So everyone is allocated an equal amount of all of these blocks for a week and then this was multiplied by five for the first five week block. The idea was that once the kaupapa were agreed to teachers would be able to swap their allocations between themselves. When teachers pitched their ideas for a kaupapa they had to state how many kaupapa blocks they would need to run this kaupapa. They also needed to demonstrate how they would include all five of our school essential agreements- communication fluency, Te Ao Māori, intrapersonal development, hauora and transdisciplinary learning. And most importantly they needed to show a sense of how the learning in this kaupapa could lead to personal inquiry learning for any learner from Year 7-13 that might sign up to it, which included how to integrate NCEA for students Years 11-12. I was very fortunate to happen to be in the hapori (learning community) when the the first pitch session happened. Anyone wanting to pitch a kaupapa had two minutes to do so, and then there were one minute of questions with no responses allowed. This was an amazing sense of collaboration- with specialist teachers suggesting all kinds of things that the teacher doing the pitch may or may not have thought of. Some pitches were individual, some were by pairs or groups of teachers wanting to collaborate on designing and delivering a kaupapa. Fortuitously the set of kaupapa pitched just about exactly matched the number of kaupapa blocks available so all kaupapa pitched are running for the first block. There are 21 kaupapa running- some of them run for two days, some of them run 3 times a week for the entire 5 weeks. Some teachers wanted to spread their kaupapa with 2 or 3 blocks every week, some wanted to run a kaupapa for 15 blocks of time but all in a couple of weeks. The flexibility of the system designed allows this. With the kaupapa agreed to the swapping of allocations got under way over the next couple of days. If someone had a kaupapa running for 25 blocks, but they only had 16 in their allocation they needed to find someone who didn’t need their kaupapa allocations and swap them for something else. Then timetabling day arrived. Everyone had their allocations in the form of tokens for each of the teacher roles with their names on. The people running kaupapa went first and selected where to put their kaupapa- spreading them over the whole five weeks, or bunching them into a couple of weeks. Then everyone started putting on their MAI time workshops, their conferencing times, their space staffing and their non contacts. Further negotiation had to occur throughout the process when someone maybe wanted to do an extra conferencing and swap their MAI time, or when someone needed to do something in a block that had no gaps so others then agreed to move where they had placed their tokens. This allowed groups like our kaiārahi and pou leaders to build meeting times into their timetable by all selecting the same block as a non contact. Same for tutor teachers and the provisionally registered teachers they are mentoring. Teachers also got five blocks to place on the timetable for doing their own personal projects- to be written about in another post. I have never, in twenty years of leading, and thirty years of teaching in schools, seen anything quite like this. It was amazing to observe. 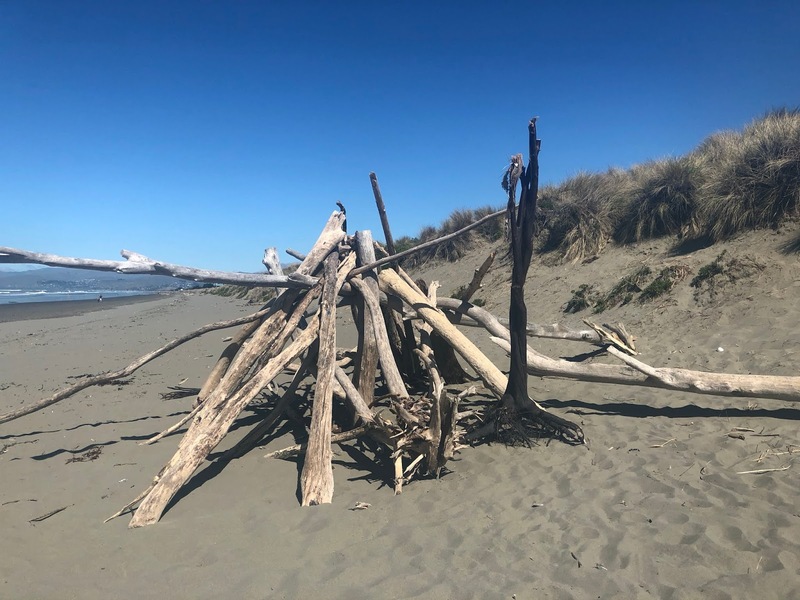 The collaboration was magic throughout the process- the input from a range of specialist teachers into your kaupapa, the ability to constructively question each other and not take offence, the swapping of allocations, and the negotiation of where to place them. It took 27 teachers about 80 minutes to collaboratively construct their timetable together for the next five weeks. What a change in power structure in a school from when the teacher in charge of timetabling held all the power. Then a few of the leaders of this team digitised the timetable that had been constructed for easy access for all. It was a first time and I’m sure the process will be refined each time. Because it was the first block of the year there was little student voice, but the intention is to have an ongoing digital display running where students can add ideas they would like developed for the next set of kaupapa. And I believe the intention to have student representatives at the next pitch session to help make those decisions about which kaupapa will run. What a great start to our third year. Examples of teacher and student agency everywhere we look. There is also some very exciting learning happening in the Year 1-6 hapori (learning community) which I will write about in an upcoming blog. Andy, our principal, has always talked about wanting extraordinary- extraordinary learning, extraordinary wellbeing. Well this was extraordinary collaboration and I look forward to observing it develop even further and documenting further developments here. I really feel like I had the privilege of seeing magic happening last week. As we head into the 2019 school year I reflect back in order to move forward. In many ways I will see 2018 as a year of tension. 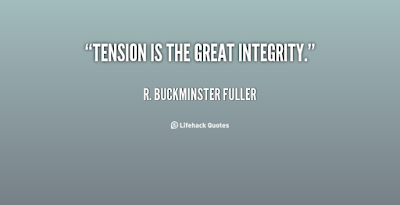 Some of that was external- there is always tension when as a leader you make decisions and take actions that not everyone will agree with or can live by. But significantly for me, 2018 was a year of the tensions within myself. There are so many conflicting demands in my head as I work as a school leader. Complacency vs commitment to something new. I wrote an earlier post about this last year. My concerns that a drive for student agency and self determined learners gets mistaken for a culture of complacency where we allow learners to do anything with no systems of planning, reflection or accountability set up with them. We all know the importance of vision, the importance of everyone in an institution moving the same way towards the same aspirations. Getting the balance right between creating school procedures and expectations and allowing the space for individual empowerment of individuals is a continual balancing act for anyone in any level of school leadership. Again, we all know the importance of vision, but the importance of 5 and 10 year strategies are surely past their best use. To be responsive to the world around us and our learners continually evolving role in that surely our long term forecasting needs to be much more flexible and responsive. The tension between knowing this and being required to produce longer term strategies needs to be addressed. 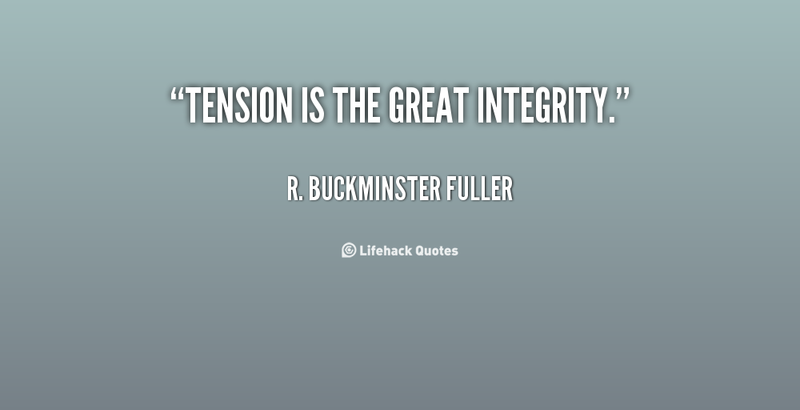 Another continual tension for leaders. 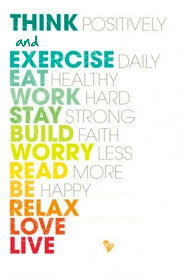 We all know the importance of wellbeing- more and more so in today’s world. Gone are the days, hopefully, of heroing the person who works endlessly, or the teacher who doesn’t sleep enough but instead works through the night. In past times that was worn by some as a badge of honour. Hopefully we’ve moved on from that. But teaching is still have complex job requiring many aspects of practice outside the hours of direct student contact. Getting that balance between expectations of practice and allowance of time and space for personal wellbeing is another leadership see saw. In addition there is the added tension of personal responsibility for well being rather than blaming others or the situations we find ourselves in for our lack of it. This is a post I wrote earlier in 2018 relating to that. Something I hold close to my heart is professional learning. 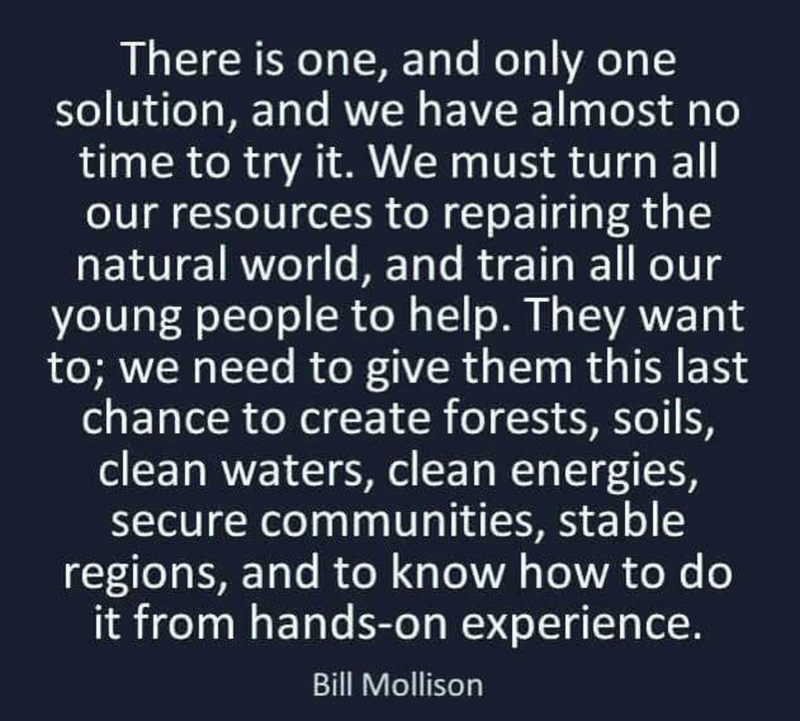 In all times, but particularly the times we are in today I absolutely believe we need everyone of our staff to be as much a learner as the young people they work with. The labels of teachers and learners in schools need to change. We all need to be learners, in order to continually evolve in these times of rapid change. For some the tension exists in taking time out of their daily practice- the marking and preparing for the next day in order to concentrate and give quality time to doing and processing our own learning. But for me, until all teachers see that as an absolute must part of their professional practice, not something extra to fit in if or when they have time we will continue to perpetuate the same things in schools we always have. Getting things done is important. Getting some things done on time is vital. But sometimes we are so busy getting everything done in a timely fashion that we fail to take the time to consider how effective that is. I’ve seen individual parents completely converted to what we are doing at Haeata by Andy, our Principal, taking the time to spend 60-90 minutes with them one on one touring and talking about the learning occurring. Not an efficient model- many people would say it’s much more efficient to get 100 parents in a room and talk at them, but so less effective. To take this approach means it will take a long time to work with a large range of parents, but how much more effective will the outcome be. There will always lie a tension within me for wanting to spend time day to day teaching. Although I believe all effective school leaders should spend time in classrooms and working with young people in order to remain in touch with the realities, I know it is no longer the significant component of my job and thus creates a tension not just within me myself but when looking at the bigger concept of school leadership. Too often we are lining up our most effective practitioners and then pulling them out of classrooms to lead. I guess it happens in all professions but it remains a tension for me. 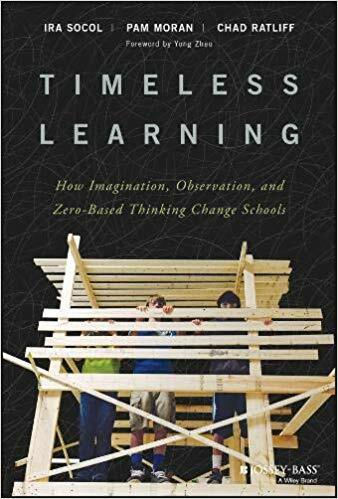 Over the last couple of years much of my day to day work has been occupied with leading the design of learning on a longer term and shorter term basis. 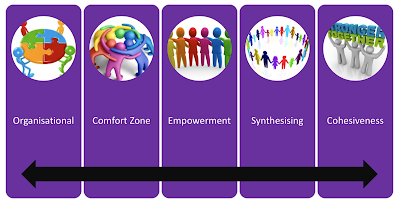 Its a real passion and joy area for me, yet I know our middle leaders are now more than capable of continuing this development with their teams themselves and my role needs to move to one of empowering and coaching them rather than direct involvement with the ongoing design on a day to day basis. I guess that’s the tension I feel the most- the continual need to re-set where my priorities and passions lie. An ongoing challenge yet a joy in itself. The opportunity to keep being a learner and help others to do so themselves. Block, P. (2003). 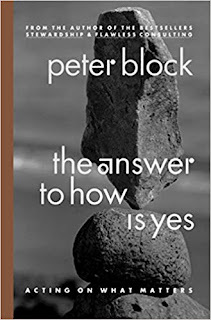 The answer to how is yes: Stop looking for help in all the wrong places. San Francisco, CA: Berrett-Koehler. Brown, B. (2018). 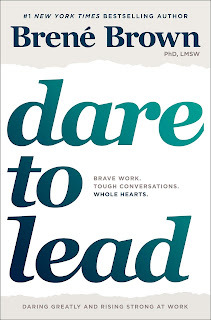 Dare to lead: Brave work, tough conversations, whole hearts. New York: Random House. Kegan, R., Lahey, L. L., Miller, M. L., Fleming, A. T., & Helsing, D. (2016). 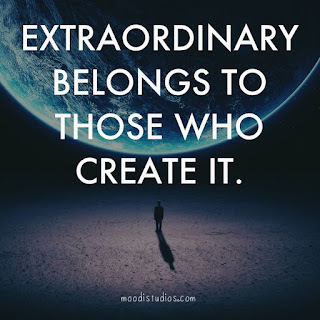 An everyone culture: Becoming a deliberately developmental organization. Boston, MA: Harvard Business Review Press. Kahane, A., & Barnum, J. (2017). 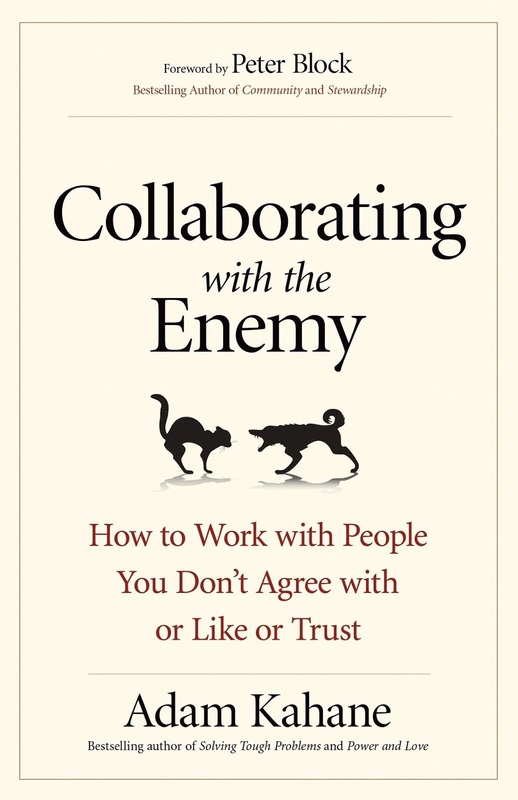 Collaborating with the enemy: How to work with people you don’t agree with or like or trust. Oakland, CA: Berrett-Koehler. 2019 is all about sustain for me. 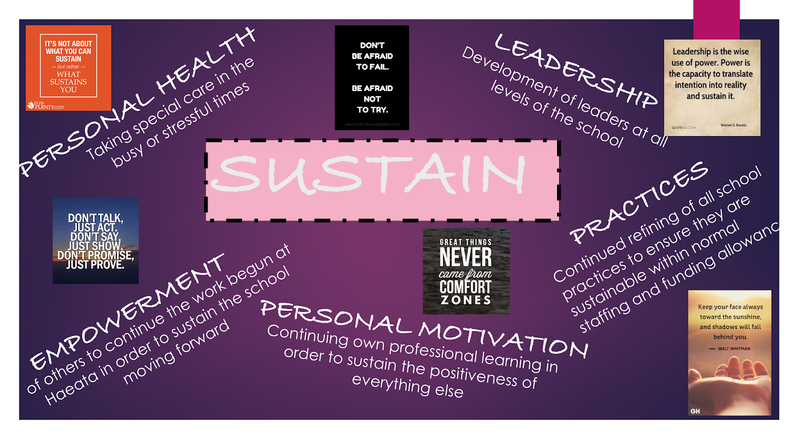 Ensuring the practices we have set up at Haeata are sustainable for any staff looking into the future. Ensuring that all staff are empowered to continue the development and refinement of those practices. On a personal note I know I need to sustain my personal motivation. In the second half of last year I took part on Change School with Modern Learners and subsequently did a huge amount of reading as well as took part on online conversations. This was incredibly motivating to continue wiht the work we are doing, and I intend to carve out time to sustain this as we move through 2019. Personal health is always a complex one. I need to eat well and I need to get fit. I start every year off well but then as things et either busy and/or stressful it tapers off. My focus on sustain means I am determined to sustain these efforts throughout the year this time. During 2018 I read some powerful books that really provoked some great thinking. I’ve been a Brene fan for years, read every book and watched ted talks etc. Although I’ve read all the books Daring Greatly was my first read and has always been my favourite. However this one comes close to taking that place. The book talked a lot about hustling in leadership and in teams- and differentiated between good hustling and not so good hustling. I loved the clarity in the book around values- especially around clarifying no more than three priorities in your values and specifically translating your values from ideals to specific behaviours and articulating those. There is a section on not choosing silence over comfort which really resonated with me. “Silence is not brave leadership, and silence is not a component of brave cultures." This led into a reminder of Brene’s Feedback charter which I’ve always liked right from reading about it in Daring greatly when I read that years ago. I read this book after a recommendation within Change School- a powerful online programme run by Modern Learners. The book encourages readers to have much longer discussions relating to purpose- about what is worth doing, before focussing on the how. There was a lot of time spent on pursuing the right question, making sure we are asking the right questions. The right questions are about values, purpose, aesthetics, human connection, and deeper philosophical inquiry. When we ask How? we limit ourselves to questions for which there is likely to be an answer, and this has major implications for all that we care about. I loved the reframing of questions. How long will it take? becomes What commitment am I willing to make? How much does it cost? becomes What is the price I am willing to pay? 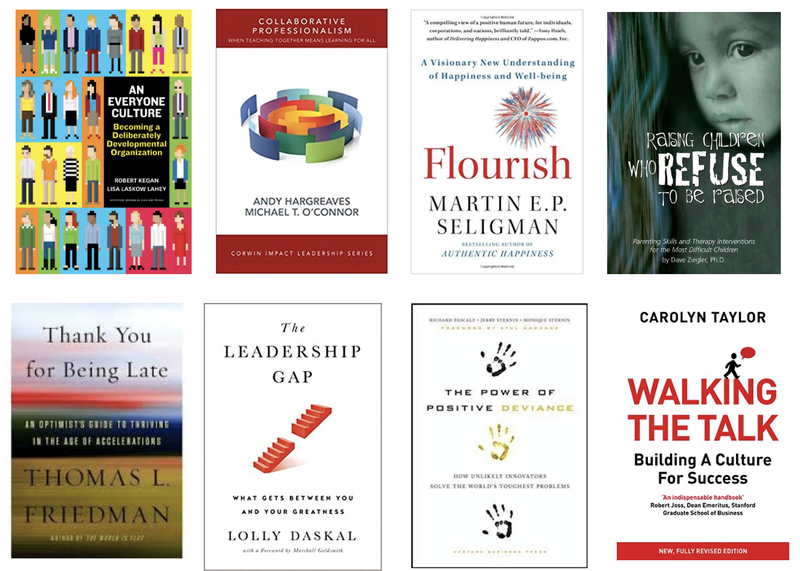 There was a great section for helping to understand some people's responses when leading them through change. "There are times when leaders ask us to make a change and we respond by acting confused. We continue to ask How? when we do not really mean it; the confusion is just a measure of our discontent. We act like we are confused, like we don’t understand. The reality is that we do understand—we get it, but we don’t like it. 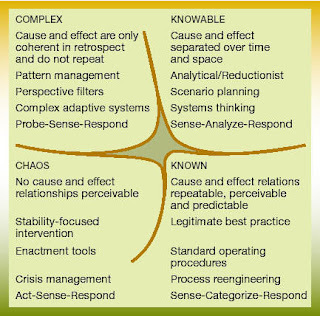 The effect of the effort to eliminate “confusion” is simply to delay the change." Lots of this book had similar themes to Brene Brown focussing on values and clear articulation of those. "Acting on what matters is the act of making change in the world through a set of personal values that define who we are. Acting on what matters means that we will consistently find ourselves feeling like we are living on the margin of our institutions and our culture.The dominant culture will never fully appreciate the choice we make." We talk a lot about transforming practice. I loved this statement: It is the act of learning that is transforming. "If you think you don’t have time, or love totally what you are doing, or can’t keep up with what you are into now, think again." I think it was in change school that I heard the statement “Im not asking you to change, I’m asking you to learn.” How powerful. I’ve spent a lot of leadership time over the years exploring the nuances between coaching and mentoring. I really enjoyed reading the following statements on mentoring. "Mentoring is an act of love, of care, of willingness to bear witness for another human being. To be authentic, it must be chosen by both parties.Find a mentor on your own. There is unquestionable value in mentoring, but we get into trouble when it becomes a program and our bosses are trained and expected to do it. Just find a person, whether you know them or not, and make them a mentor, even if you never meet them. I have mentors whom I have never met, but I follow everything they write, do, and say. If you do meet, it is a bonus, but be sure the relationship is reciprocal. You need to have something to offer your mentor in return for learning from them. If there is no balance, the relationship will become unstable, even a little oppressive. Mentoring has meaning when we take on for ourselves the task of learning. And we do it in the face of all the help sent our way." The section on learning culminated with my favourite quote form this book: "My freedom, my purpose, my learning, are all faces of the same intention: living out my own destiny and bringing this into the world with all the worth and generosity I can muster." Timeless Learning: How Imagination, Observation, and Zero-Based Thinking Change School. 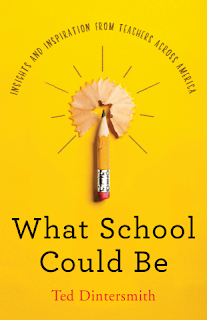 Another change school recommendation that is both a remarkable and an enjoyable read. How will the children born into this century learn what they need to not just survive but thrive in a world defined by accelerating technologies? 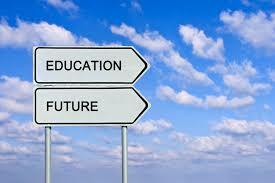 Tinkering won't, in our opinion, get us to the education that children need to find success in 2040, 2050, or 2060. We must take more significant action to ensure children are ready for their life's journey, one that we can't imagine or bring into focus with any clarity. We believe in scaling great ideas, theories, and strategies across our schools rather than trying to scale up programs.The specifics don't matter. What matters is that when kids do that kind of work, they build on each other's ideas and sustain creativity together. They naturally become more in‐depth, deeper critical thinkers. They learn to share expertise and how to find expertise. We have spent a lot of time thinking about the changes needed in pre teacher education This quote particularly struck a chord: Think about the way most schools of education work – people are almost taught to be afraid of students and to control their every movement and word. Educators have to change that paradigm. When children construct their own world, no matter how fleeting that seems in adult time, they discover a personal power that carries them forward in pursuit of curiosity and interests. This is the intrinsic motivation of learning agency we most want our children to harness. It extends control over their own lives and futures. And, it is the exact opposite of the extrinsic rewards system created by the existing grammar of schooling, a rewards system created to entice students to comply with adult control of when, what, where, and how to learn. 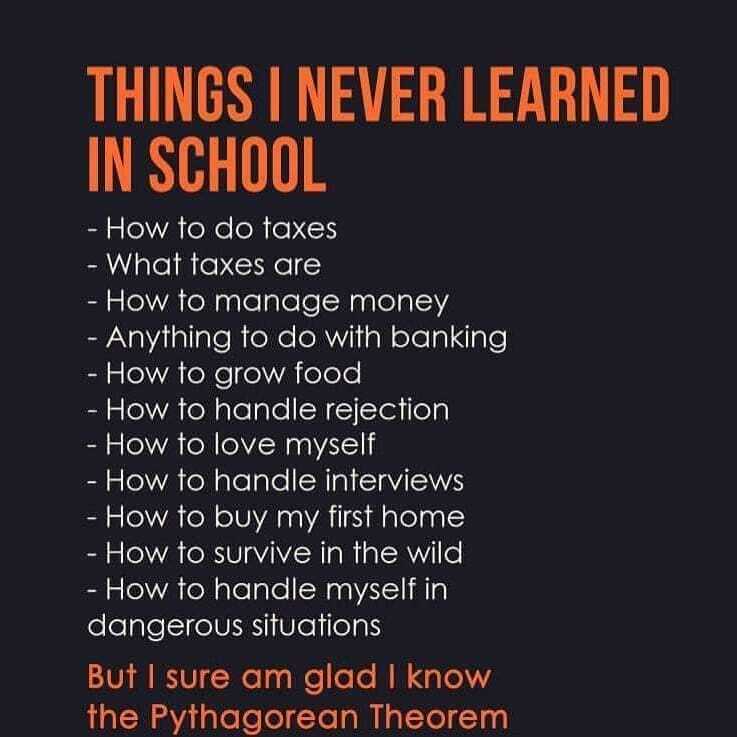 Learning is, of course, timeless. 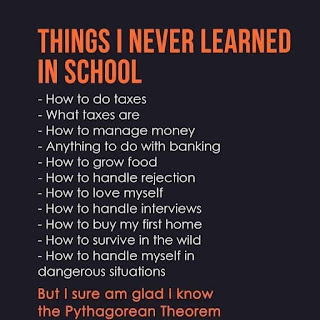 But school is all about the clock. Learning becomes timeless when we trust in childhood and relinquish control to children. If we let them lead, they explore, widely and wildly. When we create spaces in which children can choose to extend their learning, their investigations, for as long as they desire, we breed empowerment and ownership. Early in the year I read this book after a strong recommendation. I was initially reluctant and was encouraged to move past the word enemy in the title. I’m glad i did. It was a very quick and easy but at the same time really profound read. 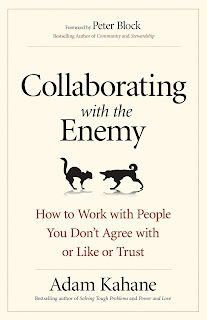 The book talked about collaboration being something you need to choose. We do not understand how to collaborate until we understand when to collaborate. Collaboration is only one of four ways that we can approach situations we find problematic. We try adapting when we think that we cannot change our situation and so we need to find a way to live with it. We try forcing when we think that we ought to and may be able to change our situation without working with others (unilaterally).We try exiting when we think we cannot change our situation and we are no longer willing to live with it. We can exit through quitting, divorcing, or walking away. We try collaborating when we want to change the situation we are in and think that we can do so only if we work with others (multilaterally). The main focus in this book is on the increasingly complexity required for collaboration. It teachers about some new kinds of collaboration referred to as stretch collaboration. Conventional, Constricted Collaboration Is Becoming Obsolete The difficulty lies, not in the new ideas, but in escaping from the old ones, which ramify, for those brought up as most of us have been, into every corner of our minds. Conventional collaboration works only in simple, controlled situations. In other situations we need to stretch. Conventional collaboration assumes that we can control the focus, the goal, the plan to reach this goal, and what each person must do to implement this plan (like a team following a road map). Stretch collaboration, by contrast, offers a way to move forward without being in control (like multiple teams rafting a river). The book talks about three kinds of stretches needed in stretch collaboration. The Second Stretch Is to Experiment a Way Forward. Stretch collaboration requires that we see ourselves as part of, rather than apart from, the situation we are trying to address. Stretching requires you to move toward rather than away from different others. Another change school recommendation that was a thoroughly enjoyable read. In this book Ted visited schools across every state in America looking for stories of innovation. I’m often negative about my perception of the education system in America but there are obviously some great things happening in pockets throughout the country. Reading this book re motivated me to get over there and visit some of these spots of innovation at some stage in my future. If a goal of education is to get students excited about literature’s great works, an essential question is how to spark such passion. Should we require students to read classics and expect fervor to erupt? Make teenagers read King Lear and expect them to love a piece that Shakespeare intended audiences to see, not read? 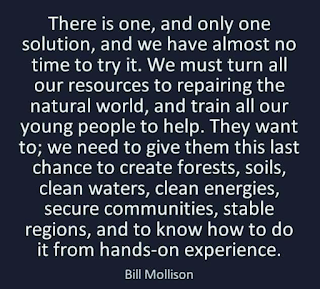 ….. Far too often, our well-intentioned efforts backfire, and assignments actually turn kids off to the greatness of nature and human accomplishment. When people are ordered to do something they don’t believe in, they go through the motions. When they take ownership of their goal, they blow you away. Agency and purpose. For starters, no one—and I mean no one—defends the status quo. People realize that our schools need to change. Every community has teachers, parents, citizen volunteers, and philanthropists working tirelessly on behalf of their children. Today, most think it’s a matter of execution—do the same old things better. But a growing number recognize that we need to do better things. They can be an unstoppable force. The problem is, we listen to the wrong experts. Our innovative teachers, not those at the top of the education pyramid, are the ones who know. They’re creating classrooms where children thrive, where students are building purpose, essential skills, agency, and authentic knowledge. This was a bit of a re read late in the year. I love this book because of the message, it's a message I totally agree with and have been trying to live for years as a teacher and a leader. But I also love it for its readability, for its easy access to the thinking through the medium of storytelling. And I especially relate to those stories because I recognise a lot of the places and schools Welby talks about- especially in the earlier part of the book. In the later part of the book I can easily relate the schools and institutions Welby talks about to ones I know. Re reading this book has inspired me to write my own one day. Over the years many people have encouraged me to share some of my stories and the learning I’ve done from them. One day soon I’m going to start on that! 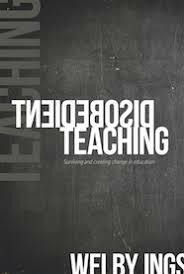 Disobedient teaching is what happens when you close the door on your classroom or office and try unconventional things because your professional compass tells you that it is right. Disobedient teaching is rooted in the belief that you can influence things right now, from where you are. At its most damaging, however, professional jealousy causes people in hierarchical systems to protect their position. In doing this they can impede others who they feel may threaten their station or expose limitations in their level of competence. 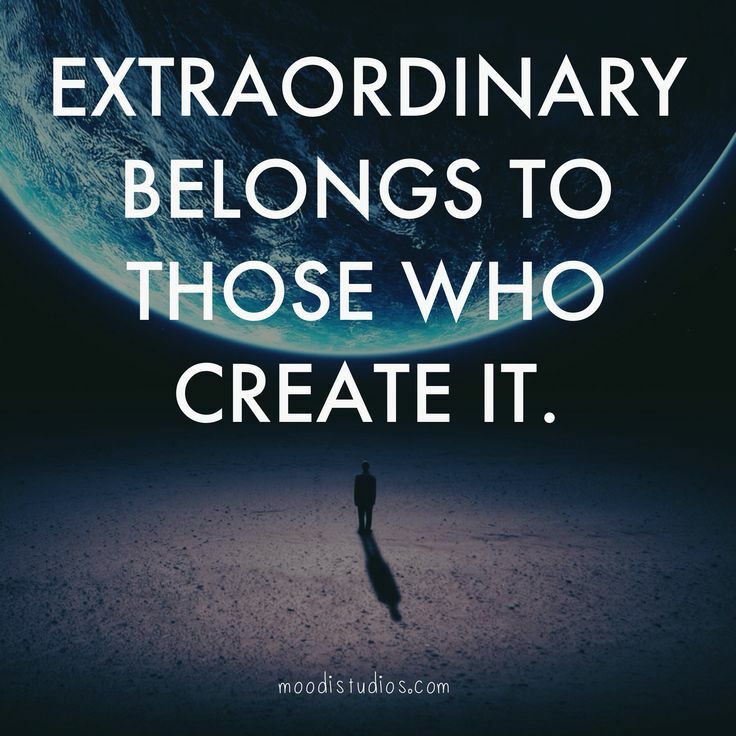 This becomes particularly evident when talented people begin demonstrating skills and usefulness that someone higher up the ladder doesn’t possess. Such displays of ability can be seen as dangerous. As a result, the threatened individual may bully, disparage or undermine. Popularity, effectiveness, initiative and talent are very threatening to people who hold hierarchical positions through ambition rather than talent. So is disobedience. You must be true to yourself. Strong enough to be true to yourself. Brave enough to be strong enough to be true to yourself. Wise enough to be brave enough to be strong enough to shape yourself from what you actually are. Question bravely and constructively. Stand up for ideas. 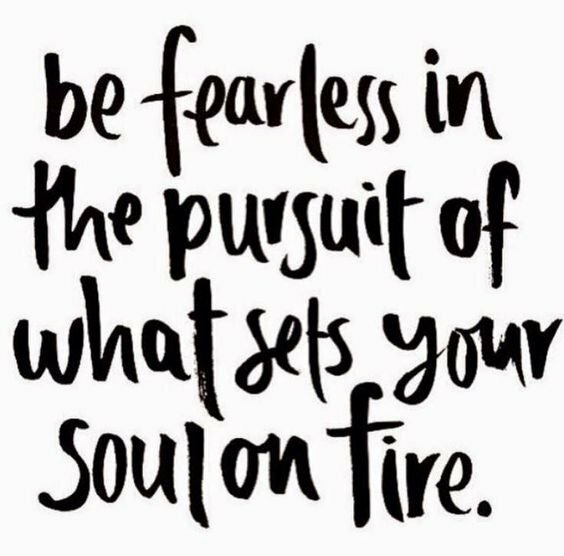 Be tenacious. Take courage. Disobey. To do this you have to believe in yourself. Really believe in yourself. You are your own source of power to make things better. You are the font of tenacity and wonder, the wellspring of ideas and the origin of strength. Never, never let people convince you otherwise. We all know the old metaphor of school being like a factory. It's a bit cliche now- it's been used so much. During the industrial revolution, factories were revolutionised by the assembly line. Each person in the line would have responsibility for a certain part of the product, and when they all worked together, the finished product would come together. Rather than one person making a product, a whole lot of people working together could get it done much, much faster. In some cases, authors have used the term "factory model" as a metaphor. As an example, the animation and text of Sir Ken Robinson's TedTalk compares students in schools to materials in a factory and references children's "date of manufacturing" as a sorting mechanism. 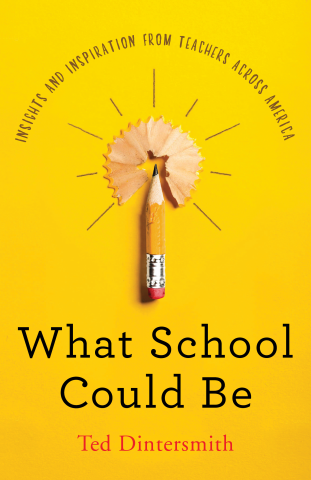 One of my challenges for the week, after reading the article Education Needs Different Metaphors by Sam Chaltain was to invent a new metaphor for schooling the way we are doing it now. I pondered and thought and read. And the more I searched for something truly inspirational to create the more stuck I became. I could think of lots of examples in nature, but I think I was looking for something else. However a walk down the beach on a beautiful Christchurch October afternoon had me come upon this. And I just stood there thinking that's it. 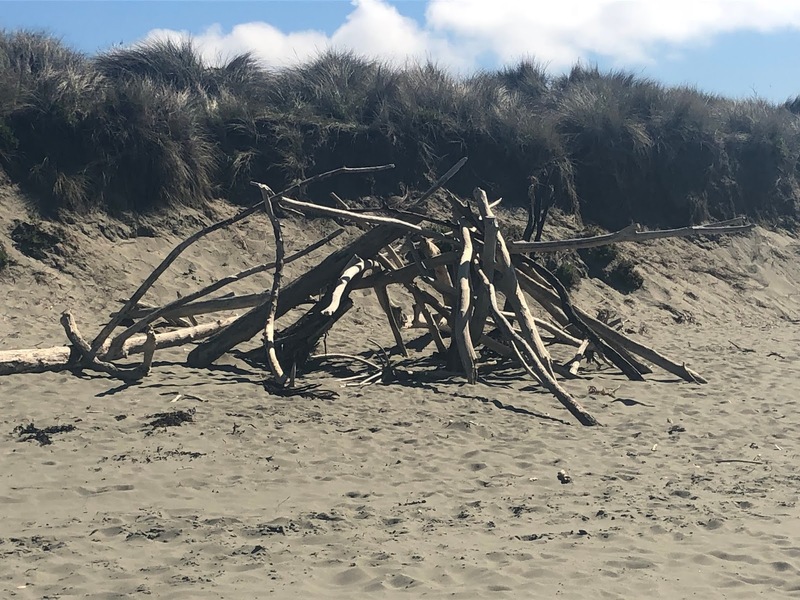 That pile of sticks is the metaphor for everything we do at Haeata. Maybe the new metaphors come to me so much from nature because nature is so fluid and ever changing. Maybe thats why nature is beckoning to me as a metaphor. So how do the sticks represent Haeata for me? There's lots of different things happening simultaneously just like you can walk into our learning environments and find 800 children all doing something different. Some of the logs are supporting other logs while also doing their own thing just like our teachers support and learn with, alongside and from our students. There's a firm grounding underneath what looks like a random structure just like how what appears to be a random group of kids all doing random things to the outside eye when you come into Haeata actually has a real structure and serious consideration to that structure underneath. In short there are multiple connections leading to multiple pathways. 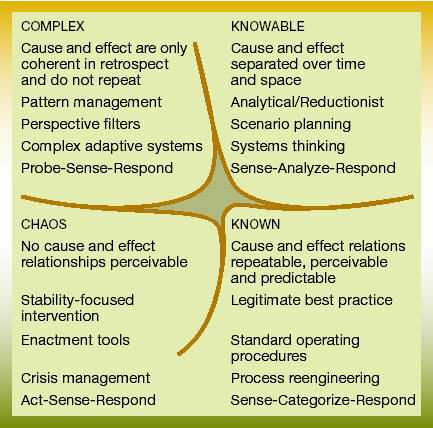 To use the terms of the Cynefin framework we have moved from the simple (factory analogy) to the complex. Much harder to understand. 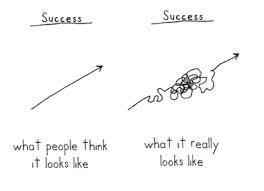 Not linear. Much more exciting and energising and giving a place for all to be, to learn and to grow. Not like the old model designed to fail as many as it was designed to let succeed. A place for all to grow in whichever way is best for them supported by many others in many different ways.